Whilst the weather has turned Winterish today with rain and grey skies, lucky for me my daughter works in wedding and event management. 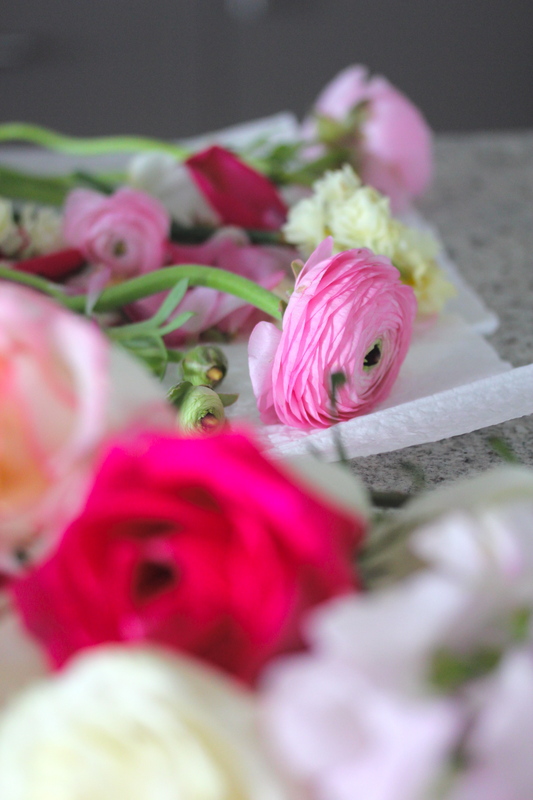 One of the perks is the leftover blooms from each wedding or event. She halves the stems between us and we both enjoy a fresh posy or two or three. 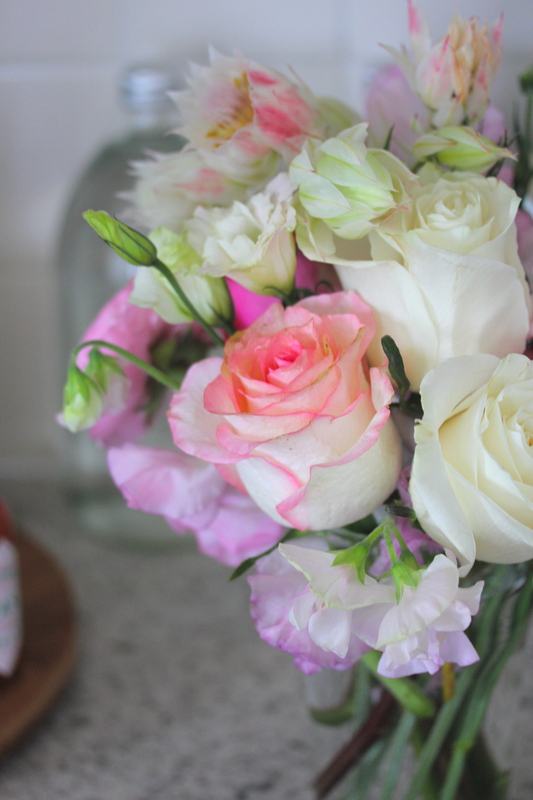 Today, fragrant, gorgeous sweet peas and roses! 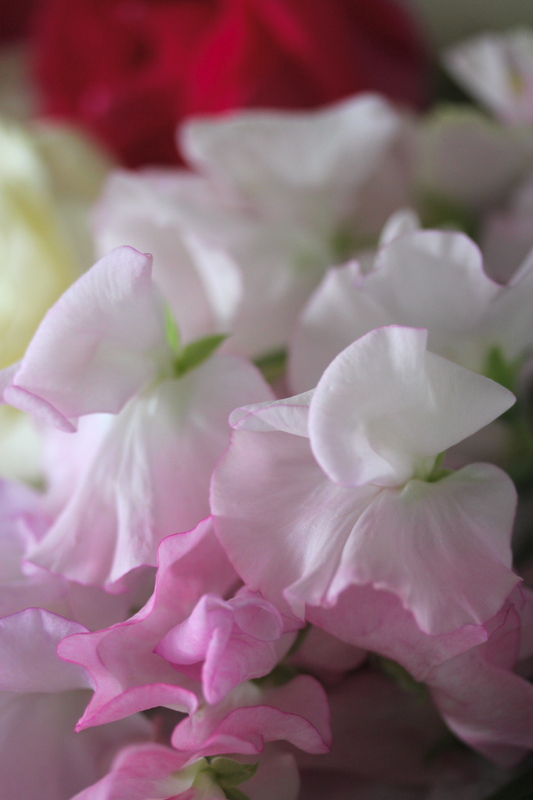 Sweet peas are my absolute favourite. I love, love, love them! son una passada,estos colores me encantan,son mis prefes,pero ya es tiempo?,des de aqui noto su fragancia!!!!!!! !,buenos dias!!!!!!! 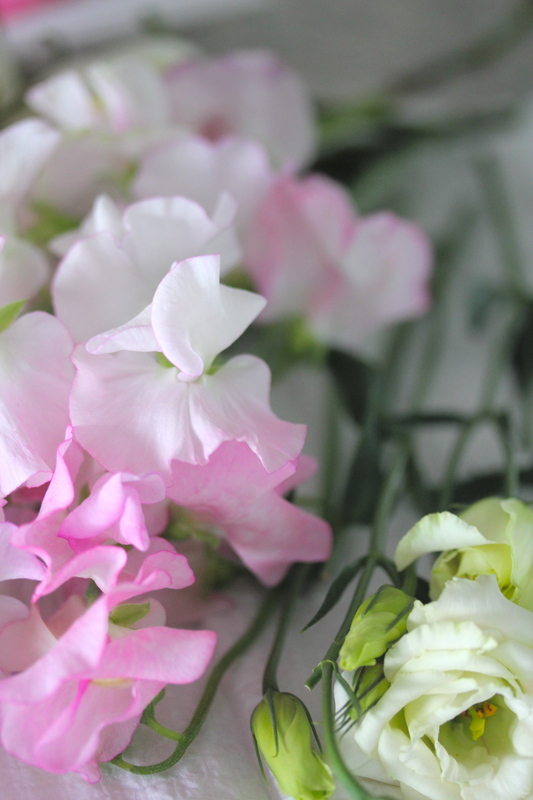 I love love love sweet peas! My DD (adult) grows them and they do great here where we live. I also love roses, but not so much any more. Wow! They are all so beautiful. I can almost smell them. Very nippy here in Colorado with fall in the air. These made me smile. My favorite due to the memories they evoke are the Iris. I absolutely love peonies and hydrangeas. It’s hard to pick one flower as all of them have their own unique beauty, right? Hi Sarah, we had sweet peas on the tables at our wedding reception nearly 30 years ago. They still are one of my favourite flowers, and always have some in my garden. i enjoy sweet peas. they have a gentle scent. when i lived in colorado i had them planted by my large dinning room window. when i would open the window in spring and summer the scent would fill my dining and kitchen areas. i miss those. where i live now they do not seem to grow like i had them. No one can make you feel inferior without your consent. 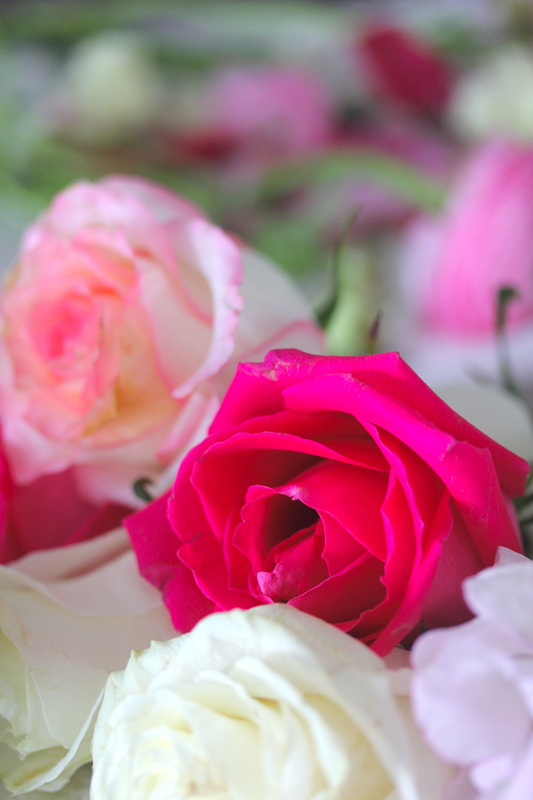 The sweet peas are “sweet” but the roses are beautiful! I especially like the off white/cream ones! Ma fleur préférée au printemps c’est le freesia.